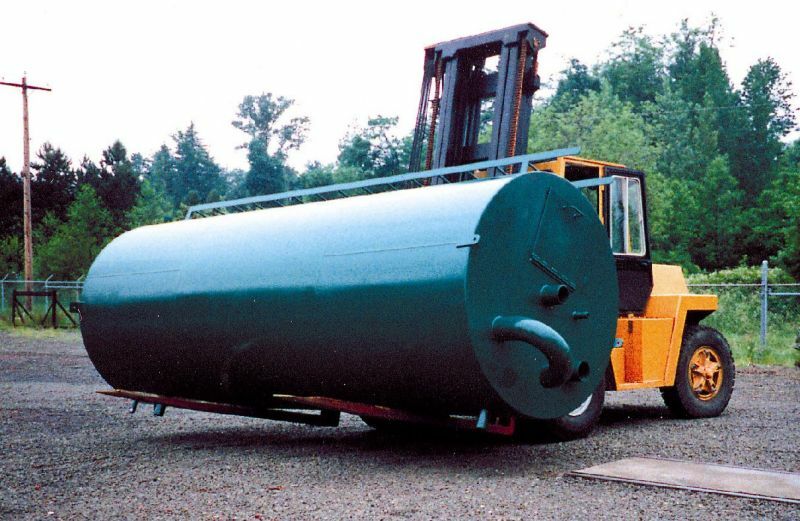 Water storage tank constructed from carbon steel material with access ladder attached. 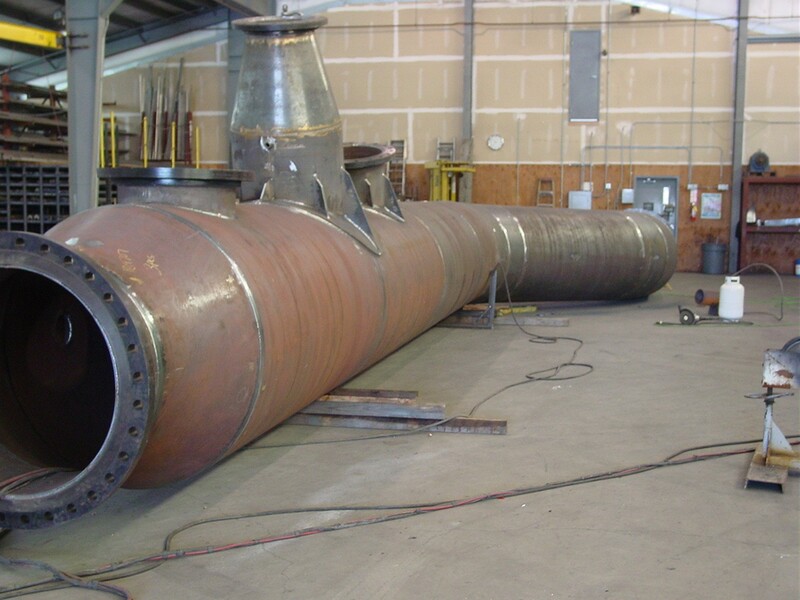 Wet scrubber assembly constructed from carbon steel used on boiler exhaust to remove particulates from the air. 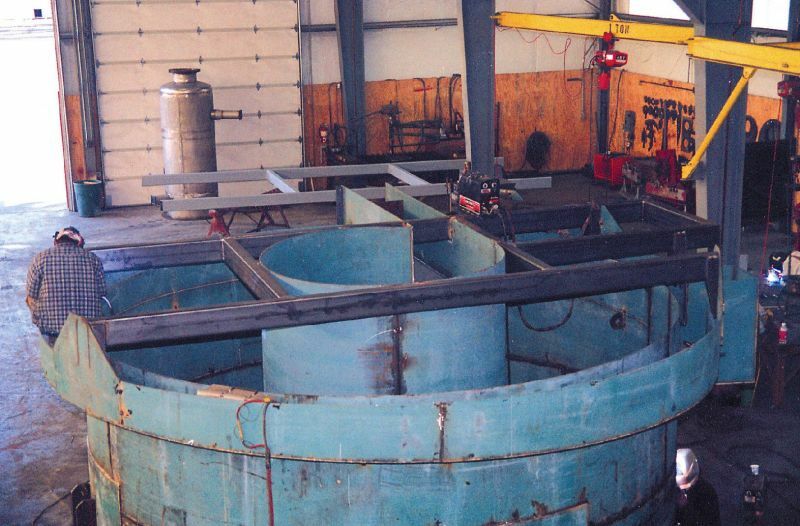 304 S.S. Converter vessels being fabricated for a detergent processing project. 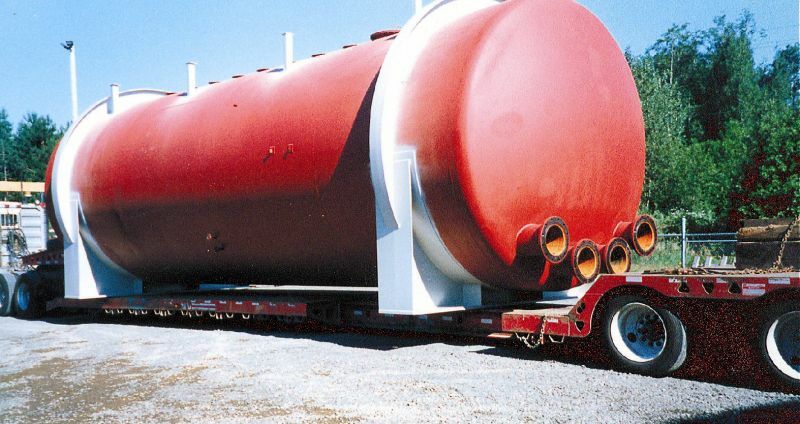 Carbon steel sulfur storage tank with mounting saddles and penetrations for heating coils. 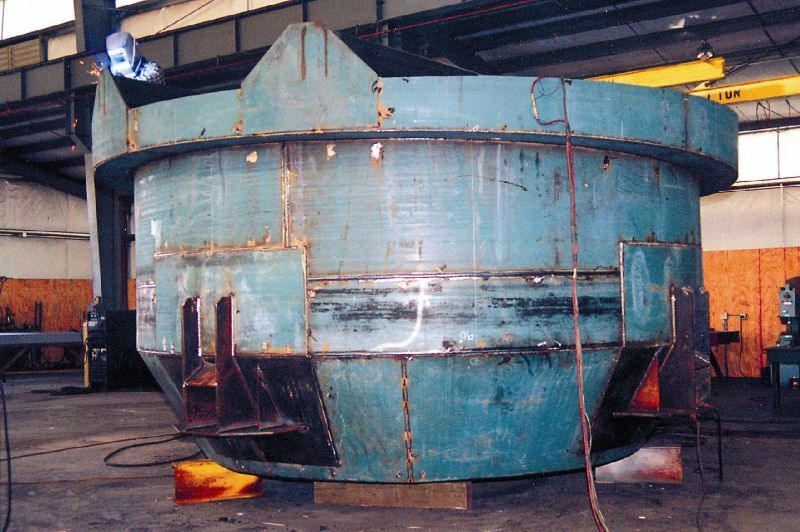 Partial tank assembly positioned on power rolling equipment for the welding process. 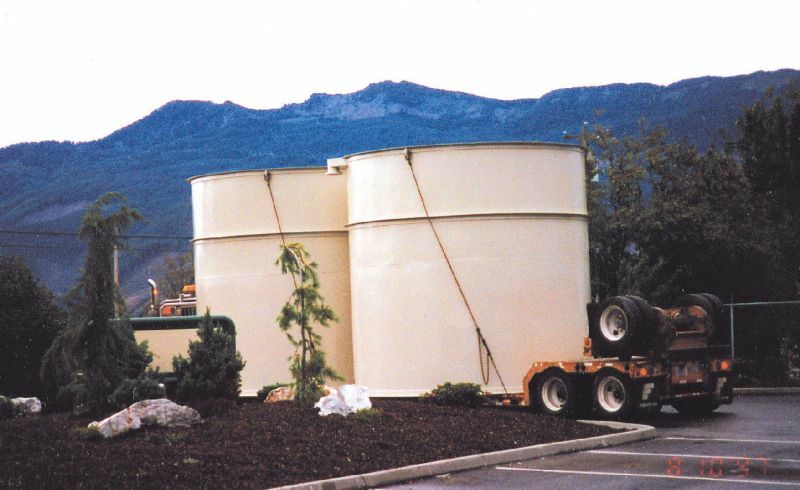 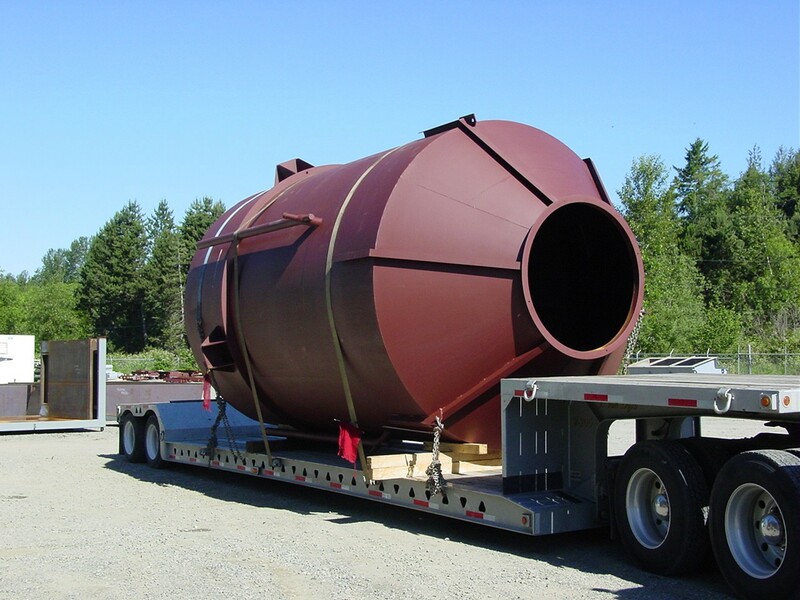 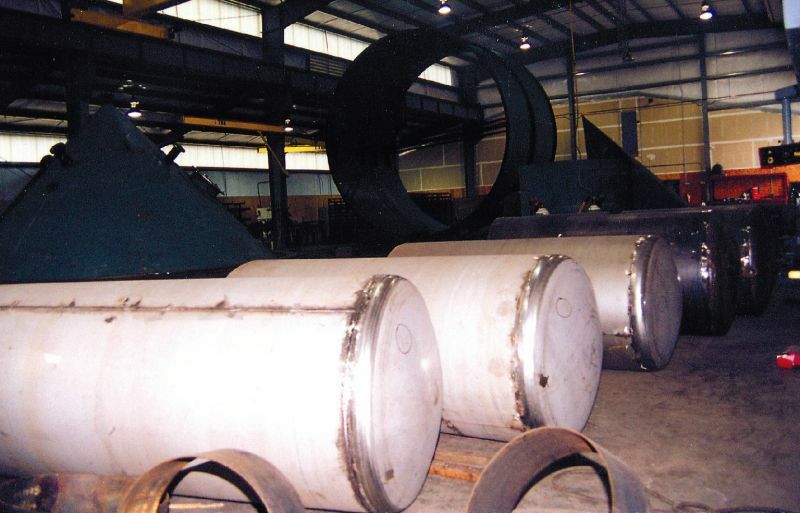 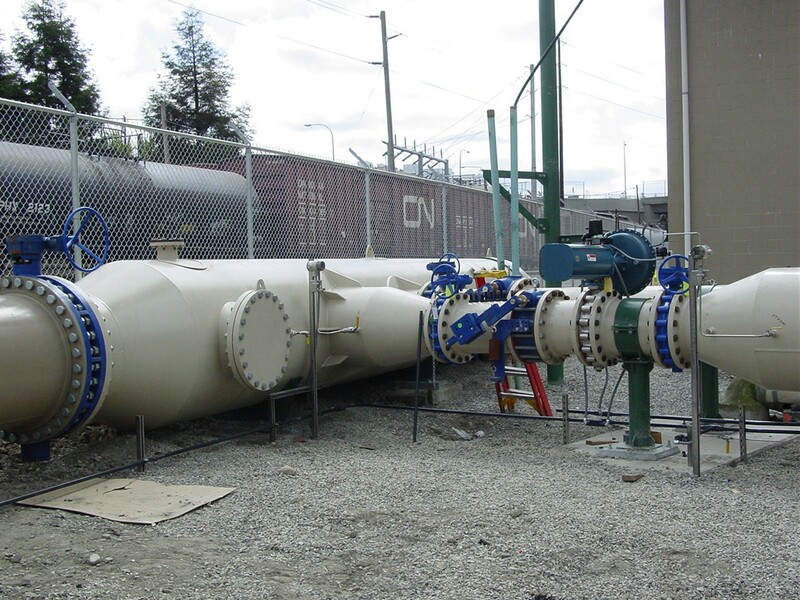 Product storage tanks used in the process of manufactured fibre siding. 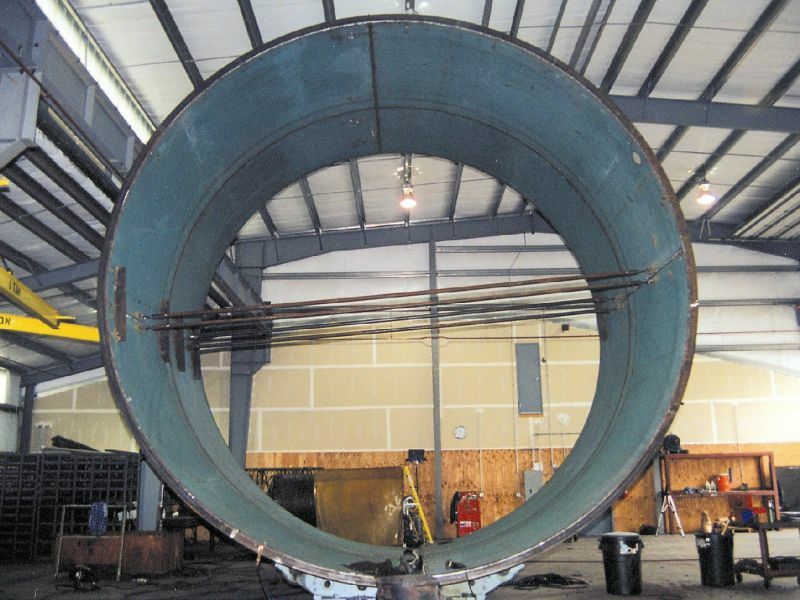 52” Diameter water main fabricated from carbon steel and glass epoxy lined for anti-corrosion purposes.